Houston facial plastic surgeon, Russell Kridel, MD, continues to be recognized as one of the best plastic surgeons for his exceptional facial plastic surgery skills and quality patient care. 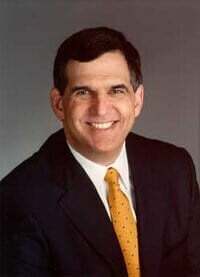 Already one of the most highly honored surgeons in Houston and in his specialty of facial plastic surgery, Dr. Kridel has been named by peers and patients to numerous prestigious 2013 Top Doctor lists. Dr. Kridel has been named a 2013 Castle Connolly Top Doctor and a Castle Connolly Top Doctor: Southeastern Texas for the third year in a row. Each year, Castle Connolly surveys thousands of physicians and other healthcare professionals and asks them to identify excellent doctors in every specialty in their region and throughout the nation. They follow an extensive screening process to identify the top doctors and to provide consumers with detailed information in the Castle Connolly Top Doctors printed guides, online directories and published features. Check out more about the Castle Connolly Top Doctor award process From 2005-2013, Dr. Kridel has also been designated a Super Doctor in Texas Monthly’s annual Super Doctors list. Through an additional peer-review process, Dr. Kridel has been selected as a “Best Doctor”, a prestigious roster that represents the top five percent of experts across more than 400 specialties and subspecialties of medicine across the nation. It is the fourth year in a row that Dr. Kridel has received the distinguished award. Best Doctors was founded in 1989 by Harvard Medical School affiliated physicians with the purpose to provide patients with access to the best minds in medicine. More information about Best Doctors is available here In addition to these recent 2012 accolades, Dr. Kridel has received numerous prestigious honors and awards throughout his years in practice, including the two highest honors from the Academy of Facial Plastic and Reconstructive Surgery ” --- The F. Mark Rafaty Award for surgical excellence and the William K. Wright Award. H-Texas Magazine voted Dr. Kridel as a Houston’s Top Doc for 2013 --- an honor he has received annually since 2006. 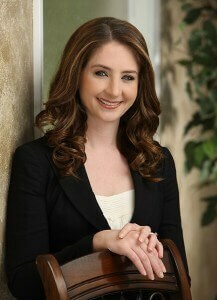 H-Texas Magazine also named FPSA Associate, Dr. Angela Sturm, as a 2013 Houston Top Doc. It is the first year Dr. Sturm has been eligible for this honor--- a significant achievement as a new associate to FPSA. Only the top 1-2% of doctors receive the “Top Doc” honor based upon votes from both physicians and patients. Check out the Top Doc listing for Dr. Kridel and Dr. Sturm in the Spring issue of H-Texas Magazine. Dr. Sturm has also received the 2013 H-Texas Magazine Top Women in Business award and was featured as a Top Health & Beauty Expert in the July, 2013 Issue of Modern Luxury. "We are so touched by the kind words and accolades we receive from patients and other surgeons," reflected Dr. Kridel. "All of us in the practice are so passionate about providing our patients with the best possible care. We really love what we do", said Dr. Sturm.